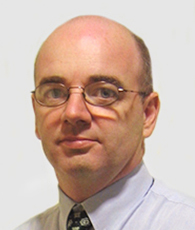 John is a Chartered Quantity Surveyor with over 25 years of professional experience. The first four years of his career were spent in the UK. John migrated to Canberra in 1988 and then joined Wilde and Woollard in 1990, becoming an Associate in 1992 and Director in 1998. John has a wide range of experience as a team leader and team member in the provision of pre and post contract cost management services, contract documentation and facilities management related services on private and public sector projects including tertiary education facilities, banks, residential developments, office refurbishments, sports stadiums and hospitals. More recently he has delivered cost management services on a broad range of Defence projects. 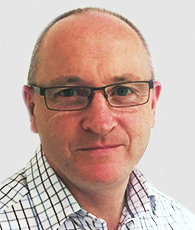 Tom is a quantity surveyor with 25 years experience working Quantity Surveying companies and for Contractors. Tom joined Wilde and Woollard in 2007 and became a Director in 2008. Tom has a broad range of experience working as a Quantity Surveyor in specialised practice and within an engineering contractor’s organisation. This experience has included working in the United Kingdom, Hong Kong, United States of America and Brazil in addition to Australia. Experience includes the full range of Quantity Surveying services from cost planning to final accounts and holding a senior position within a contracting organisation where experience included preparing, submitting and negotiating tenders, Commercial Management and Project Management. Tom applies his extensive contract experience and is a registered adjudicator under the Building Construction Industry Payments Act. 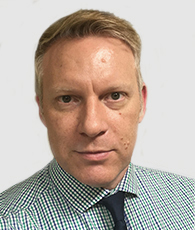 Gavin has over 24 years experience working as a Quantity Surveyor on major public and private sector projects. He joined Wilde and Woollard in 1989 as a cadet. During 1996/97 he worked in our Jakarta, Indonesia office. He takes a lead role in the delivery of QS services in the Brisbane office and has also provided Project Management and specialist Property Tax services. 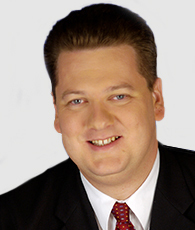 He became an Associate of the Brisbane office in 2003 and a Director in 2007. Gavin has gained a broad range of experience in estimating and cost planning, preparation of tender documents, project procurement and post contract services on a number of different projects including; Brisbane Supreme and District Courthouse, Amberley RAAF Phase 3 Redevelopment, Brisbane Metropolitan Linen Service and numerous Queensland Health Hospital projects. Currently his duties include being the Brisbane office’s Quality Assurance Manager. In the past, he also managed the provision of specialist property-tax related services over several years. Gavin is actively involved in the development and maintenance of standards in the QS profession and for the QS undergraduate degree course at QUT. Gavin is currently National Vice President and a past State President of the Australian Institute of Quantity Surveyors. Gavin also serves on the board of a large Aged Care provider and has been a State Executive Board member of Scouts Queensland since 1992. Over eighteen years professional experience, joining Wilde and Woollard Qld in 1997 as a cadet, becoming an Associate in 2008 and a Director in 2016.Experience and expertise in all aspects of the Quantity Surveying profession including a lead role in the pre-construction and construction phase cost management of a diverse range of public and private sector projects. Significant project experience in the provision of pre-construction and delivery phase services on Department of Defence projects including major audit roles. Other project experience includes correctional facilities, hospitals, residential apartments, aviation and commercial developments.